Hashgraph is a distributed ledger technology system that allows users to effect transactions subject to rigid consensus in an ecosystem where no single user is trusted – quite congruent with the blockchain. However, unlike Ethereum and Bitcoin, this new technology does not consume computational power and energy, which makes it a lucrative alternative to the blockchain. The Byzantine Fault Tolerance of hashgraph ensures that the consensus is achieved without any uncertainties. 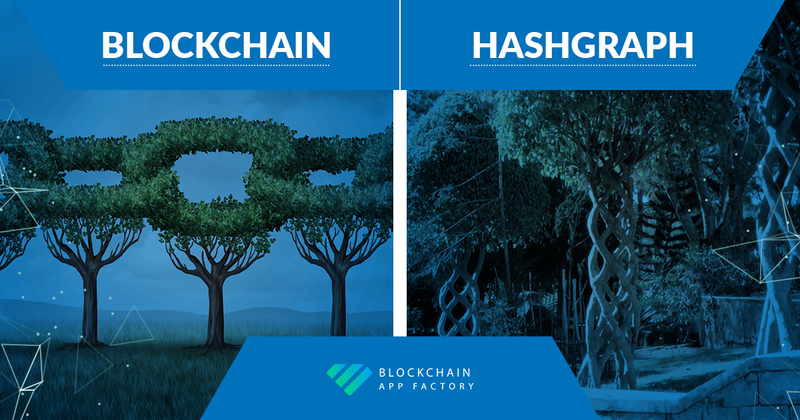 If hashgraph has to even find a parallel mention with blockchain, leave alone dethroning it from being the de-facto standard in its domain, it has to present to a user, a set of advantages that break the inertia of change. Let’s look at the advantages that the new kid presents over blockchain. Speed – The blockchain has to be credited with the pathbreaking innovation. However, when it comes to execution of transactions, if blockchain is a sloth, hashgraph is Usain Bolt! The latter is 50000 times faster than the former and is limited by a bandwidth of over 250000 transactions per sharding, which stands in stark contrast to the Bitcoin where it is limited to 7 transactions per second. Fairness – Hashgraph brings with it, an advantage of timestamping. This would mean that no user can manipulate transaction orders in any way. Earlier, in a blockchain, a user could choose a transaction order in a block, and delay the order by placing them in succeeding blocks or even go to the extent of stopping the transaction from entering the system. This time stamping ensures that these loopholes are sealed. Once an event occurs, it will be notified to everyone in the system within seconds. Since the transaction reflection alone needs to be stored, it reduces the storage amount to 1/60th of the blockchain. This would mean that unlike high-configuration systems required for blockchain, even mobile phones can act as nodes. Security – We’ve seen the advantages of Asynchronous Byzantine Fault Tolerance. This absence of discrepancies and ambiguities ensure that no member can stop the reaching of the consensus. 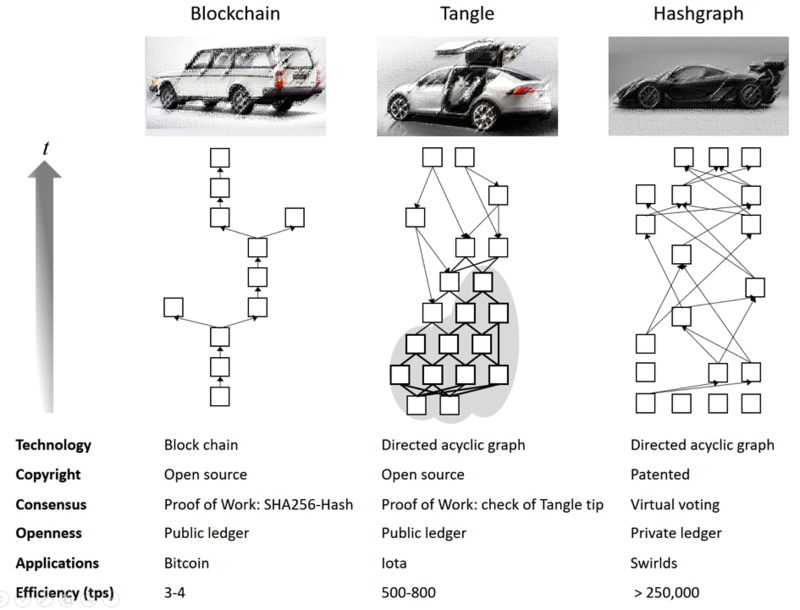 This is where the hashgraph scores massively over the blockchain – the fault tolerance in the blockchain is a matter of probability. Efficiency – In the blockchain, the transactions – according to the definition – form long chains of blocks. If two or more miners create two blocks at the exact same time, only one of the containers will be added as a part of the chain and the rest of them are discarded. However, in the hashgraph, none of the containers are discarded. In all of these, blockchain is still preferred by a lot of people. Blockchain has established itself in being a breakthrough in preserving intellectual property, while still opening up avenues of fractional ownership and tokenized investments. It serves as the go-to registry for the world of IoT. Blockchain technology has revolutionized manufacturing and supply chain management, cutting down the costs incurred on intermediaries. There might be an organization that strives to be a future leader in a space that is not-so-mainstream today. It is for these aspiring futurists that Blockchain App Factory beings you hashgraph development services. Get in touch with us, and we will take forward, your dream of creating your own hashgraph application.